Trek is for most of us, is a chance to lose the connection to with the world where we live and find a chance to connect with your inner self. It’s an opportunity to do something exciting and challenging that can free your spirit. There are many trekkers who rely on a single day trek route and wish to experience a multi-day trek expedition. There are a lot of questions for someone who is going to trek for two to three days for the first time in their life. I have been repeatedly asked about how I manage and prepare for my multiday trek expeditions. Tips on packing, food, guide, porters and most importantly, acclimatization, are the most common questions that I have been asked. Here are a few tips and hacks that you can follow to make the best out of your experience. A multi-day trek can be of three kinds. The third one in the list if the most costly but then is the most rewarding, because it is your own group and you can make the best out of your personal experiences. A trekking company or a fixed departure trek manages most of your amenities and frees you from the load of carrying extra burden like a tent, sleeping bag and mats. 1 – Start with a 3 day trek: A 3 day trek will give you insights of challenges that a mountain can throw in front of you. Your body will slowly start to get used to walking for long distances, heights and start compensating for lack of oxygen. Nag Tibba, Kareri Lake, Manimahesh, Shikari Devi are few of the best two to three day treks to get a hang of trekking. 2 – Pack accordingly: Packing is the biggest struggle that you have in your mind when you are preparing for a trek. While you need to pack accordingly, you also need to make sure that you don’t make your rucksack heavy. A 60 liter rucksack is enough to carry your load, this is followed by a rucksack cover, tent and sleeping bags if you are trekking alone. 3 – Map: A map is very important for a first timer. While there are not many trekking maps available in India, you can certainly follow a rough map of you own. Ask locals around, you might help you with a guide to your destination. Apart from the above list, it is very important to carry not more than 2 pairs of shirts, briefs, woolen socks, thermals and important medicines for fever, cough and cold. 4 – Shoes: Trekking shoes are an important part of your trekking expedition. A trekking shoe, protects your feet from injuries, cold, frost bites and supports your posture while climbing and walking. 5 – Trekking pole: A trek pole is something that serves as a third leg of the trekker. It takes a lot of burden and also warns you about slippery slopes and thin ice. When you are preparing for a multi-day trek, it is important to start walking a lot. Stop taking lift to your office or classroom and take the lift instead. Try counting your time and start noticing how your tiredness and fatigue goes away over time and your speed increases. For a working person, leaves are very important. To keep your trek calendar intact, plan a trek that begins on Sat morning, this will give you a two day heads up before traveling and will bring down the number of your office leaves by 2 or three days. These are a few hacks that can help you start a successful trekking expedition. As you’ll evolve as a trekker, you’ll start exploring higher treks without any worries and fear. So if you are still waiting then don’t and set on an adventure today. 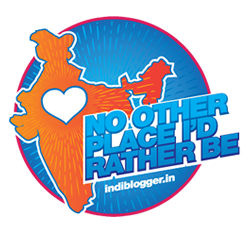 I don’t think I’ll ever be able to visit Kasol in this lifetime but your blog tagline made me laugh. 😀 So clicking on this post was worth it. Thanks. I would really like to know further about your experience of travelling with a bunch of pundits and Please write more the nuances of travelling alone in these small hamlets of India..would love to travel alone someday to ladakh and neighbouring regions..thats the dream! Sure I’ll try to write up, it was an experience worth sharing. Kasol is very peacefull & nice place. I have resigned to my fate of perpetual wanting of mary Jane. I know it works. I just don’t know how to get it. I have my vaporizer… But I know not where my herb is? I have my vaporizer… But I know not where my herb is? Oh my!